By the time the packed slate on Friday tips off, a large percentage of Section V boys basketball teams will be just about two weeks into their season. Not everyone has kicked off their campaign, though. On top of that, there are a couple supreme contenders for a sectional crown this year in two of the three largest classifications in the state that are competing in a season opener Friday evening. This is why a case can be made that what should be an exciting overall go-around of scholastic basketball action in these parts gets its full glorious start this weekend. Of those couple powerhouses mentioned above, only one of the pair won a sectional title a season ago. That would be Irondequoit. The first aspect of this past offseason for these Eagles that comes to mind has to do with Gerald Drumgoole. He was obviously the top option for a squad last year that got to the Class A state semifinals. Gerald, with his offers from Maryland, Minnesota, South Carolina, and Georgia, made the move to link up with fellow Rochesterian and top five national Class of 2019 recruit Isaiah Stewart at one of the very most notable prep schools in the country, La Lumiere School in La Porte, IN. Gone with Drumgoole from last year’s group are starter Robert Diaz-Judson and sixth man Tanner Pioch on top of bench spark backcourt player William Porter. With that being said, Irondequoit still returns six rotation players, starting or otherwise, including arguably the two most important players for Chris Cardon and his staff that campaign not named Gerald Drumgoole in powerful 6-foot-5 spring king Patrick Thomas and sweet-shooting Josh Stenglein. Also, you might want to keep an eye out for the maturation this season of sizable sophomore Keenan Robertson. Thomas, Cardon and company begin their sectional title defense at Spencerport. Then, there is Hilton. Last time around, the program had its most impressive run in postseason play in a little while by getting all the way to the Class AA sectional semifinals before falling to University Preparatory Charter School for Young Men. Two Cadets are gone from that starting lineup in guard Joey Lipani and forward Morgan Kunigan, but all of the top weapons are back for Troy Prince and his staff. That distinction entails the three captains this campaign for the team in Albany City Rocks grassroots player TahJae Hill, 6-foot-3 post player Mitchell Carr and starting point guard Noah Malta. The 6-foot-2 junior guard Hill currently holds Division I offers from Bryant and currently nationally-ranked Buffalo. Carr is coming off a summer that saw him compete with the Rochester Area Players Stars 17U team that won the 2018 AAU Basketball National Championships at the Disney/ESPN Wide World of Sports Complex in Orlando alongside the likes of Justice Smith of Lyons, Keith Slack of Gates Chili and Connor Taylor of Avon. 6-foot-3 junior Najier Daniels will be cracking the starting five very soon. He was Hilton’s second-best player in that sectional semifinal loss with seven points and seven rebounds. Hill, Carr and company get it going against Rush-Henrietta. There are also a couple high-profile clubs that have already played at least one ballgame this season thus far, but those groups have yet to get to their full team identity for this campaign due to sidelined players at the moment. When Aquinas Institute fell to Syracuse power Jamesville-DeWitt this past weekend in Waterloo, it was exactly a week after the school’s football team won a Class AA state title in the sport at the Carrier Dome, and that might have played a role in 6-foot-7 Steve Mahar and marksman Ruben Torres not being able to suit up in that one. After Aquinas Institute cut its deficit to just six points late in the third quarter of that battle, it dealt with some foul trouble in the final frame. The Red Rams pulled away from there. Mahar not playing then allowed 6-foot-2 freshman Myles Blackwood to play the starring role. Blackwood, the son of assistant coach Marcus Blackwood, is already filled out to the point that he looks like a senior out there in that regard. Additionally, the much revamped East High team is dealing with the injuries right now of 6-foot-6 Penfield transfer Dyllon Scott, the son of former Syracuse University forward Tony Scott, on top of brothers Trequan Coney and captain Maurice Coney. In the meantime, the Eagles have the depth to still have loads of success behind 6-foot-6 University Preparatory Charter School for Young Men transfer Zechariah Harris-Scott, freshman Kai McCullough, Zaire Halmond, Jordan Randolph, head coach’s son Kaori Barley, his little brother in breakout star freshman Damani Barley and another new face in aptly named 6-foot-4 senior Howard Eagle. The side also features expanded or entirely new roles for football standouts Freddie Brock and University of Oregon football commitment Seven McGee. It is a case of a new season with a new look for East High this time around. Joining the forces are 6-foot-6 Penfield transfer Dyllon Scott, 6-foot-6 University Preparatory Charter School for Young Men transfer Zechariah Harris-Scott, 6-foot-4 Howard Eagle, high-flying football star Seven McGee and the youngest of head coach Darrell Barley’s two sons currently on the roster in freshman Damani Barley. When the renowned Jabez Thomas was no longer on the University Prep team a portion into the season last year, Harris-Scott, the cousin of new teammate Dyllon Scott, slotted right into that vacated starting frontcourt spot and was arguably the personality-driven lifeblood that propelled the Griffins all the way to the Class AA sectional title game. Coming into this go-around, there was already thorough hype surrounding Damani’s older brother Kaori Barley, but it was actually the younger child exploding for 23 points and six assists against Early College International last time out. That batch of newcomers breeds excitement around the program, but there is still plenty of returning talent to be had for these Eagles. Captain Chaz Washington is probably the go-to guy for this battalion. With 6-foot-4 Kni Jear Sapp not playing his senior campaign with these guys, the broad-shouldered Jordan Randolph could easily step up nicely on that front line. On the other side, Edison Tech is doing some rebuilding, though just a tiny bit, this time after the graduations of Tristian Flowers, do-everything Marquan Anderson and Ryziere Wilson. Ready to star again in the backcourt for the Inventors is Alton Knight. Scrappy junior guard Kevin Jackson has been one of the most visually impressive players for Jacob Scott and his staff so far in this young season. He is reliable for toughly grabbing his own rebound in a pinch and showing the grit to block a taller player. DJ Billings could really shoot the basketball from deep around here and was a really good senior leader, but so, so much returns from that historical sectional title run for the Odyssey program last year. Jaden Hartsfield was arguably the best weapon for the Leopards coming into this season, and that belief only got fortified further last time out as he sent home a game-high 26 points in a lopsided win over Alexander. Back to man the point for Jim Guzielek, Roger Klimek and company is a spectacled piece in Travon Harper that seemingly never gets tired. A bull of a frontcourt player in Aric Williams is also back to bully opposing Class B1 forwards and centers in the paint. As a sophomore last season, 6-foot-4 Dylan Kolmetz was really worked into the varsity attack towards the end of the campaign to provide some needed interior length. Great team win vs Alexander 91-54!! Five players in double digits. Hartsfield 26, Harper 14, Williams 13, Colbert 11, Mathis 10. The dynamic duo for these Lancers is back for their combined junior season and a third consecutive varsity run for both of them. Tony Arnold and Jalen Rose Hannah are coming off an offseason of playing together in the grassroots ranks quite successfully. Tony and Jalen make up one of the top handful of slashing pairs in Section V this year, and probably could have been considered that a year ago as well. 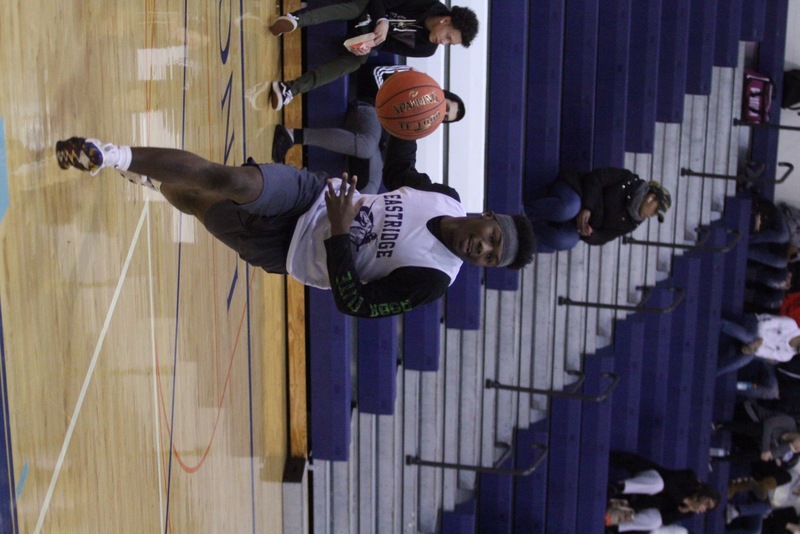 Eastridge still does not have a bunch of size in the post, but some general size valiantly enters in the form of one of the top two kids for Vertus Charter last season in 6-foot-4 Jahmel Demery. Jalan Young has a somewhat slighter build than Tony and Jalen, but he has already shown in this early season that he is no stranger to acrobatic layups through the trees. A mere eight minutes across town from Eastridge is where the current Eagles go to school. Post-Gerald Drumgoole Irondequoit should certainly push for another sectional crown like it got its hands on last year. Hops-happy Patrick Thomas is now the one that will be exacting his will upon the opposition above everyone else for Irondequoit. Josh Stenglein saw his role increase more and more seemingly with each game he played for the Eagles as a junior. Freddie June Jr. is firmly on the roster again to transform his quarterback distribution skills on turf into point guard distribution skills on the hardwood. Fellow guard Luke Melidona could be trusted upon as a sophomore at times to hit tough jumpers when need be. University of Maryland men’s lacrosse commitment Jack Brennan is not afraid to use his great overall athleticism to get in there and mix it up. McGuire Craig did not play much as a junior despite his big 6-foot-6 frame, but he could be called upon more up front this time around with the size of Drumgoole and Tanner Pioch now off elsewhere. As for the Rangers, Spencerport looks to have a stoic backcourt player it can lean on for the next couple seasons in Ben Reding. Last year, his older brother Josh Reding was the star guard for the program and one of the very best guards in the entire greater Rochester area. This season, the Rangers will have a 6-foot-3 underclassman stalwart in Patrick Uebelacker. He had a double-digit scoring outing last weekend versus Greece Arcadia. 6-foot-2 junior captain TahJae Hill is a rare surefire Division I recruit for this Hilton program. It is not just him though making this current area basketball heavy hitter tick. The other top star for these Cadets in Mitchell Carr has loads of jump-shooting touch, but his biggest asset on the offensive side of the ball is being a successfully traditional type of big man that makes basketball purists hoot and holler. Starting point guard Noah Malta, also one of the biggest names in the section and even the state when it came to soccer this past fall, goes from being one of the biggest players out there on the pitch to obviously not as much with the basketball side of things. The point here, though, is that he has shown over his high school basketball career that he can effectively bring over that toughness from his more notable sport despite not being as big as the other players on this particular field of play. Brothers, and fellow soccer studs, Joe Gombatto and Jack Gombatto are both back for Prince and his staff this go-around. That tandem could be in for a bigger role on the court as seniors. We shall see if Joe uses the same acrobatics on the floor that make him a phenomenal goalkeeper in the grass. Gone is Kailee White. Gone is Mecca McCullough. Rush-Henrietta still brings back a key trio of returning names. 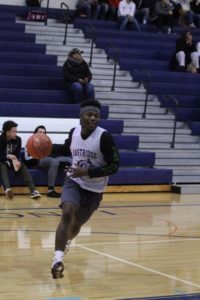 Shamire Broyld is undoubtedly one of the biggest and most physically imposing bodies in this era of Section V boys basketball, but that tank is still able to move around the court with so much fluidity. 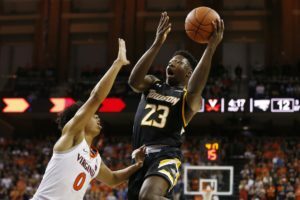 If Shamire does not try to be overly creative, there might not be anyone else in the sport in this area presently that can score the basketball in as many wowing ways as him. Timmy Jackson is majorly physical and hard to deal with on both ends. You will not be even remotely effective against him if you bring soft stuff to the party. 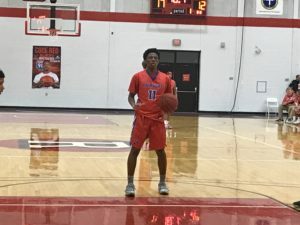 JeVonte Williams was a promising underclassman supplementary guard for the Royal Comets last time around, but he is in for a headlining role as a junior. Fairport’s Vanzell Johnson has gone from a silent assassin to a force that wants the ball in his grasp, though not selfishly, for every important possession of the night. What a difference a week can make. Fairport might have picked up the win last Wednesday against University Preparatory Charter School for Young Men, but it was not exactly in convincing fashion, especially when you look at the court product in comparison to the coaching clout of now tenured USA Basketball coach Scott Fitch. Tuesday night in a home game versus buzz-heavy Bishop Kearney, the Red Raiders were largely dominant. Fairport allowed the Kings to weave a temporary comeback to take a one-point lead in the third quarter, but then the home side powered ahead for a sixteen-point victory. 6-foot-5 Stefan Milinkovic is so much more of a complete offensive player this year. He confidently went unscathed shooting from downtown on more than a couple attempts from out there against Bishop Kearney. Do not be surprised if senior guard Vanzell Johnson leads Fairport in scoring in every contest this year. Johnson has gone from a silent assassin to a force that wants the ball in his grasp, though not selfishly, for every important possession of the night. His teammates seem to agree. No Red Raider improved more between the first two games of this campaign than Andre Starks. He set the tone in the first quarter on Tuesday with multiple lively three-balls. Along with Starks, Max Molisani is the main energy and pump-up component on this team with the way he aggressively attacks space in the painted area. Additionally, Ryan Kennedy has emerged as someone the group can count on to hit open triple tries. With how well these guys are coached, those present themselves quite a bit. Penfield has a sizable amount to replace after graduations and transfers. It is actually a little hard to think of a time before Isaiah Preston was the reliable starting point guard for the Patriots. Along with him graduating, the program has experienced the graduation loss of rim-rocking Bryson Scott. Bryson no longer being at the school played into the decision by his talented little brother Dyllon Scott to move on to East High. Javion Monroe should have some good moments this year moving into the Isaiah Preston role on this team. Patrick Piampiano has been the best piece early on for the Patriots. Piampiano has shown that he can be a positive pest of a perimeter defender. It might seem a little silly to get pumped about a big outing against non-Division I Le Moyne, but the Patrick Beilein-led Dolphins were tied with nationally No. 17 Buffalo at the halftime break. By going for twenty points on 7-of-8 shooting, five assists and just one turnover in that one last time out, Caruthers reached double figures in scoring for the first time this still pretty young season. A charity stripe performance of 6-of-7 shooting made for his best time there on the court in a little while since he did not miss a single free throw through his first three ballgames as a senior, going a perfect 12-of-12 against St. Francis (PA), then-nationally ranked West Virginia and Southern Illinois. Over the last foursome of games for the Bulls, Dontay has gone for a combined sixteen assists and just five turnovers versus Marist, Le Moyne, San Francisco and Milwaukee. Caruthers is slowly being incorporated back into the starting lineup for the club. Coming into this fall, the most under-the-radar of the nine Section V products playing Division I men’s college basketball this season was Fobbs. Currently, besides Anthony Lamb of Vermont, Quinton Rose of Temple and Jalen Pickett of Siena, in that order, Fobbs is the highest-scoring of the group of nine at 14.5 points an outing to go along with averaging over five rebounds per contest. Brian has even recently significantly upped the head-turning production he put forth in his first game at the Division I level. In that one, he recorded nine points and six rebounds in a starting nod against then-No. 5 Virginia. Now, in four ballgames in a row, Fobbs has woven a double-digit scoring performance. That span included going for 25 points against both Loyola (MD) and Vermont, including combined 7-of-11 shooting from deep. Last time out, he went for seventeen points, six rebounds and just one turnover in a loss to George Washington. In his last two games, Fobbs has shot a cumulative 9-of-9 from the charity stripe. 19. 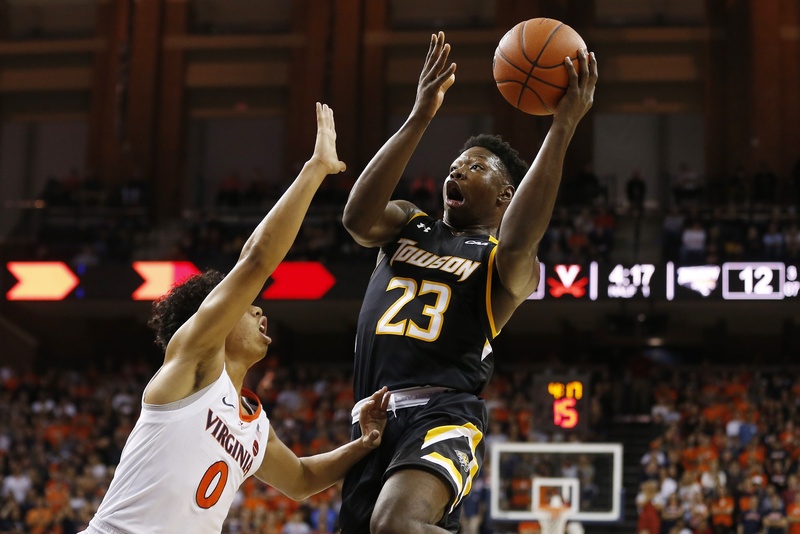 Brian Fobbs with 25 points, making him only the second Towson player with 25+ points in back-to-back games under coach Pat Skerry. Zane Martin did it twice last season. (h/t @collegebb_ref).